Danang is a coastal city. It is famous for the beaches which offer travelers fabulous cliffs, plenty of sunshine, blue water, and white sand. 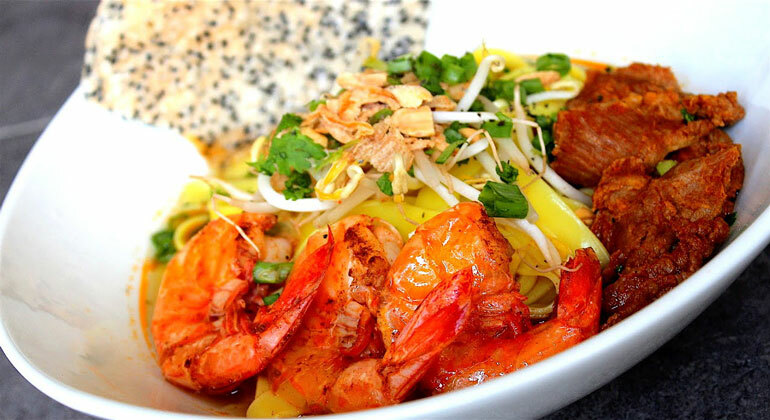 Additionally, Danang also is commonly known as its rich gastronomy. 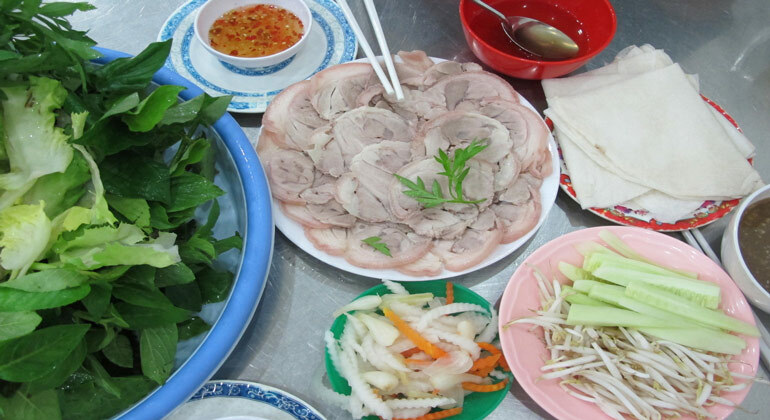 In my opinion, there are 3 absolutely best foods in Danang: the Mi Quang, the Banh Trang Cuon Thit Heo and Goi Ca Nam O. 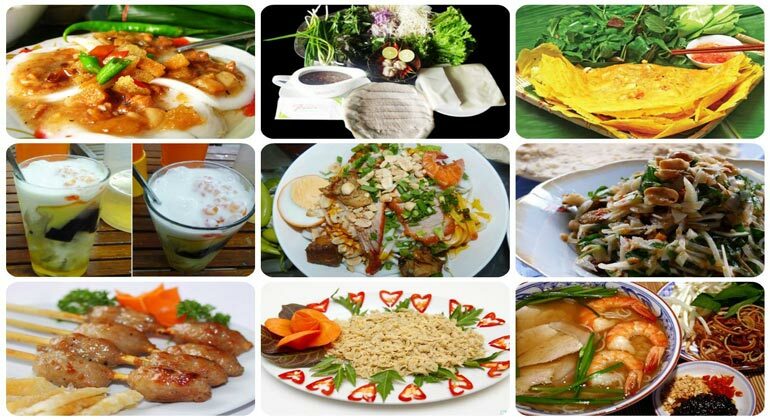 They are the best foods in Danang that I have told my friends about them as the must-try dishes of this land. 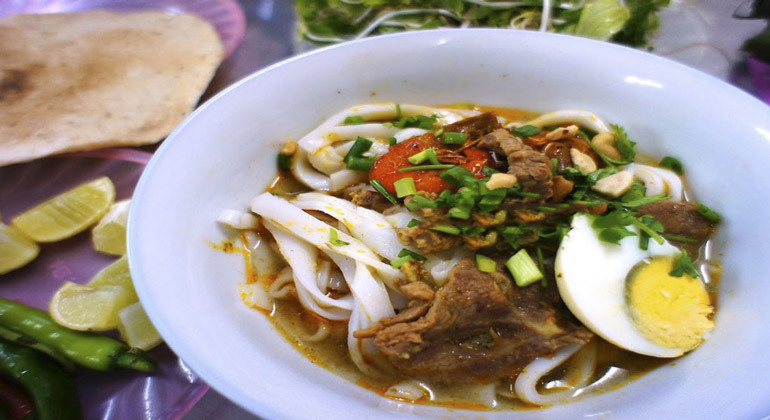 Please continue reading to find out what to eat in Danang. 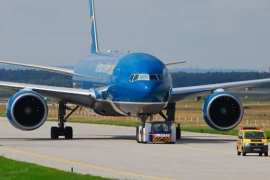 It is as awarded by millions of real travelers. 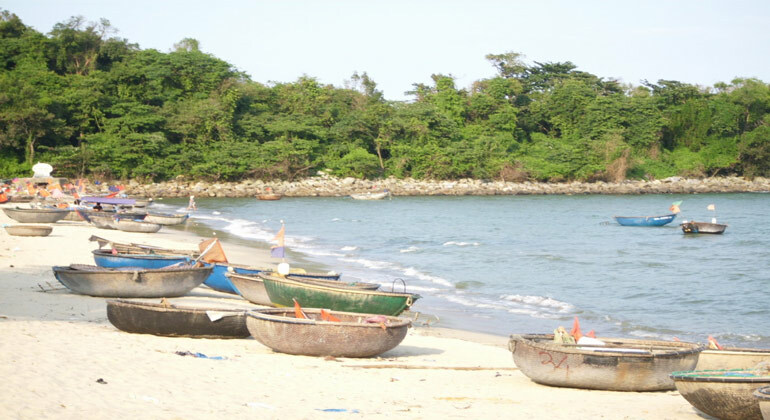 Nam O is the fishing village located at the foot of Hai Van Pass and nestled in the bay of Danang. 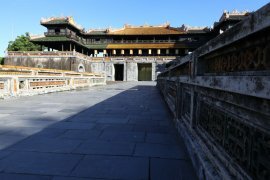 In the past, it was commonly known as the place where to produce fish sauce and firecracker. 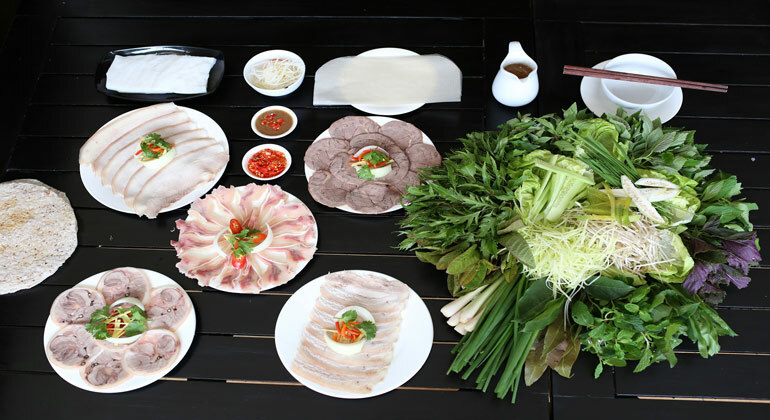 Nowadays, the village is still well-preserved in making Nam O Fish Sauce as a speciality. 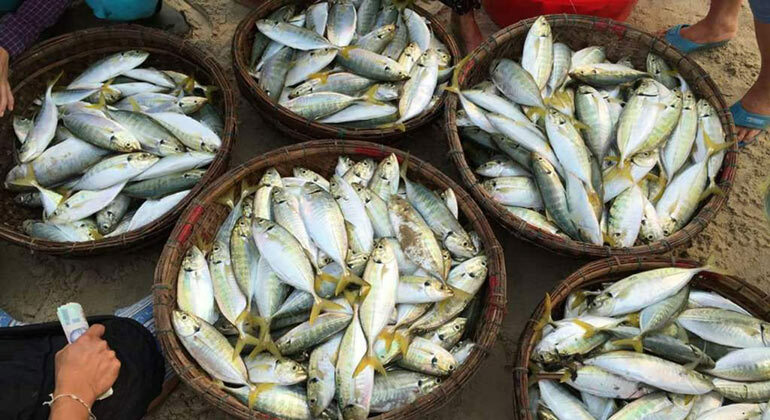 To cook the delicious and tasty Nam O Fish Salad, the fishermen of the village have to catch herrings very early in the morning. Traditionally, the villagers usually clean fish with salt and vinegar to get rid of fishy smell. After that, they fillet them. Next, the hearings are marinated with grated ginger, chopped garlic, ground chili pepper, lemonade, and vinegar until the fish become medium-rare. It takes the villagers approximately 2 hours. The Banh Trang Cuon Thit Heo is a Vietnamese dish traditionally consisting of Boiled sliced pork belly, Vietnamese rice crackers, Vietnamese pickles and raw vegetables wrapped in bánh tráng (commonly known as rice paper). The Banh Trang Cuon Thit Heo shares more similarities than differences with Goi Cuon (Salad rolls), another Vietnamese dish also commonly known as Vietnamese spring roll or summer roll. In particular, both of them are served fresh, not deep fried. These rolls are considered as a very popular appetizer. People enjoy the Banh Trang Cuon Thit Heo with the mam nem. It is a sauce made of fermented fish and mixed with chopped pineapple, chilli and garlic. 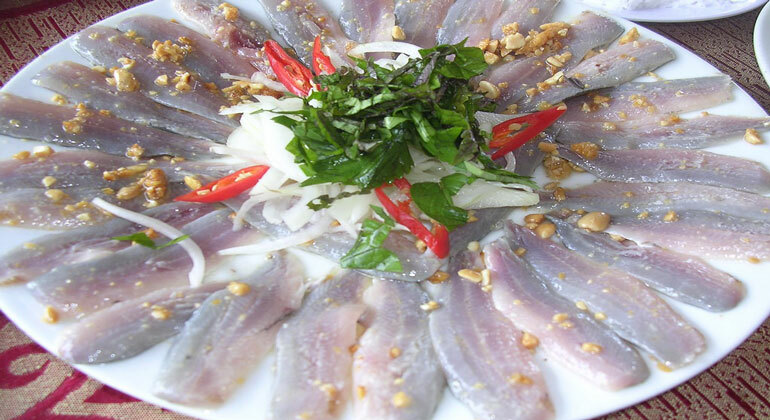 The Mi Quang is the signature dish of Quang Nam Province and Danang City. 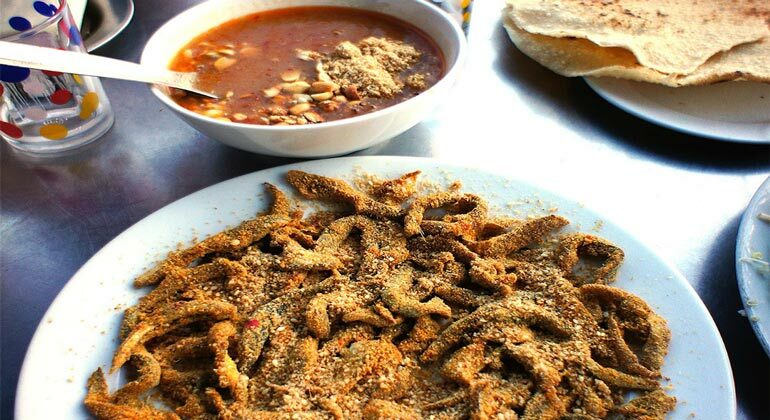 Traditionally, people say that it is recognized one of the food items and they like to eat it on special occasions: family parties, death anniversaries and Tet holiday. Originally, the main ingredients of the Mi Quang are noodles, meat, fresh herbs and a small amount of broth. 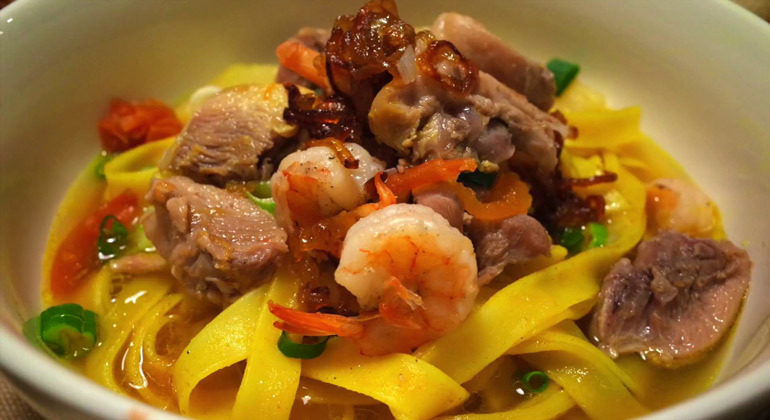 People like using turmeric powder to make the noodle yellowish. For meats, they usually cook the noodles with one or more of the following: pork, shrimp, chicken, or even fish or beef. Basically, the Mi Quang is garnished with peanuts, fried pork skins (pork rinds) and sesame rice cracker (also called Banh Trang Me). 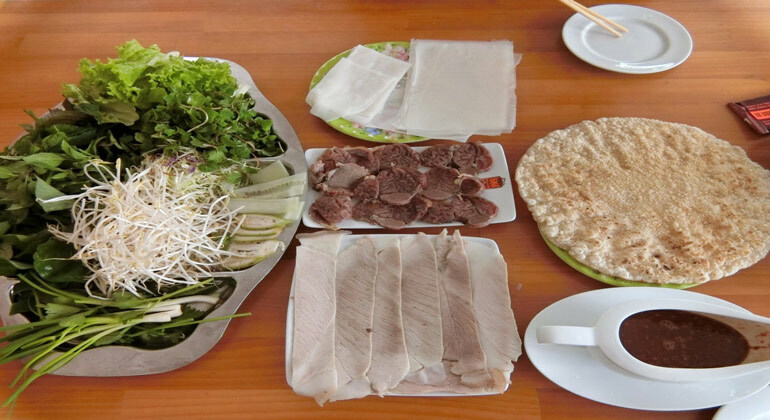 Sometimes, the local decorate the dish with additional ingredients such as boiled eggs or Vietnamese steamed sausage. 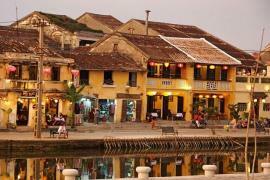 I believe Vietnam, particularly Danang is a worthy destination to consider. 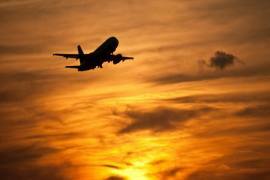 Don’t hesitate to book an airline ticket. It is so amazing to make a plan for a summer getaway with your BFFs. May I have a great pleasure to help you out with Hue to Danang Airport transfer service?